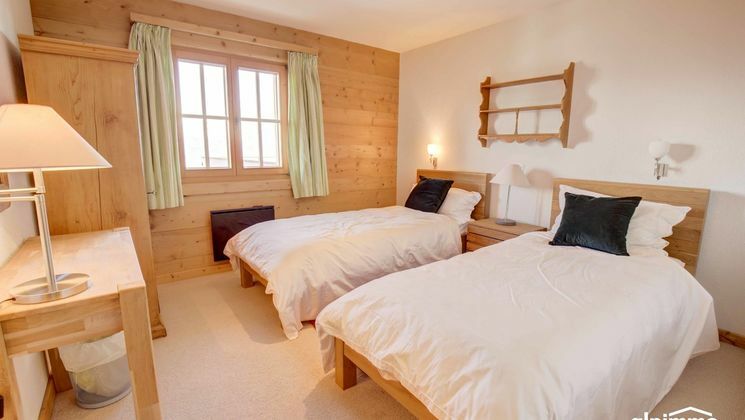 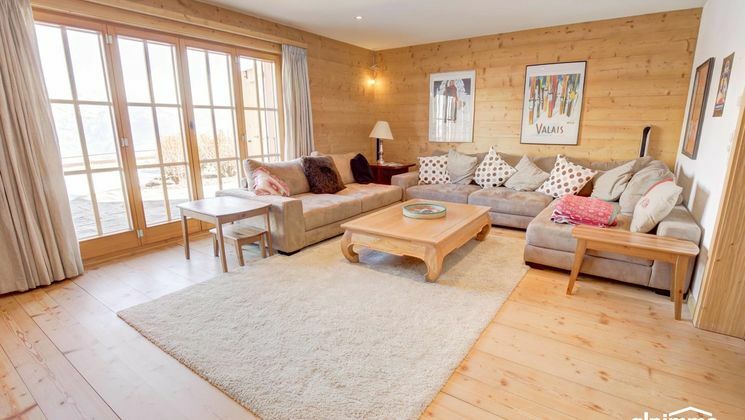 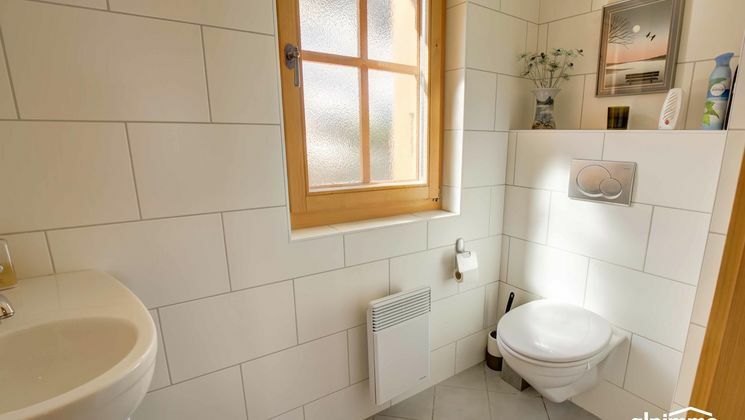 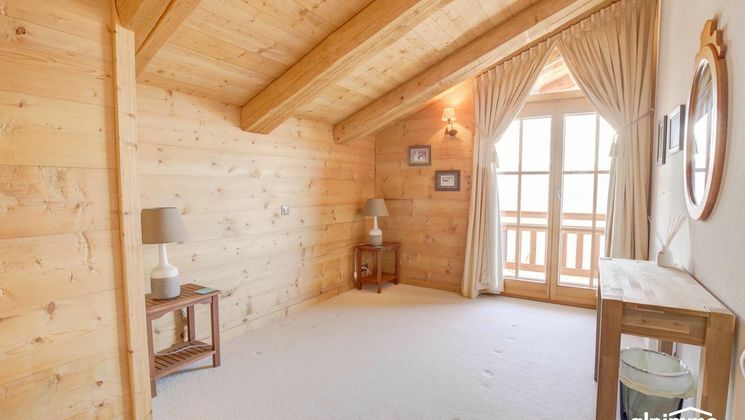 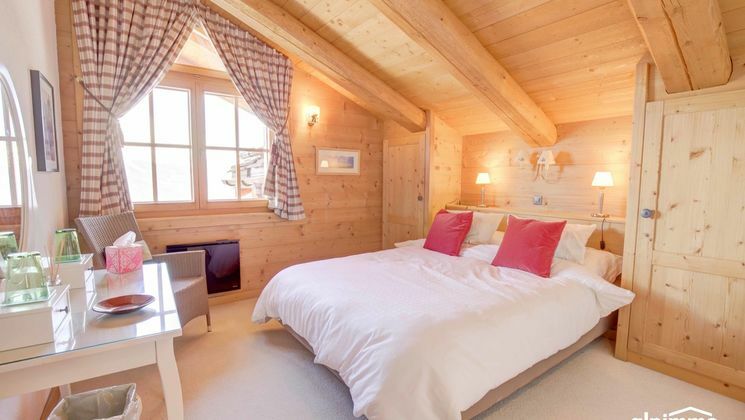 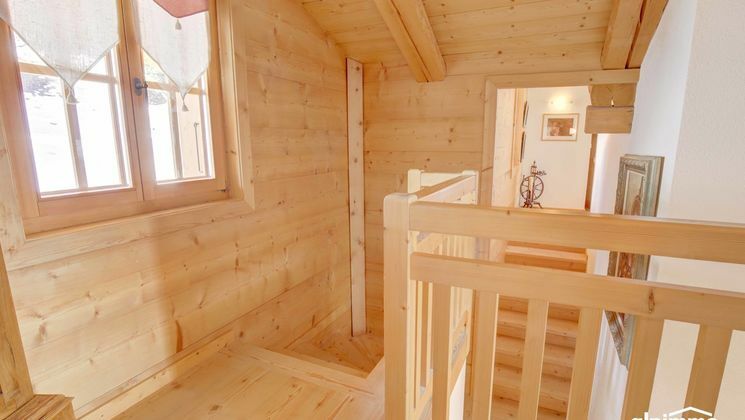 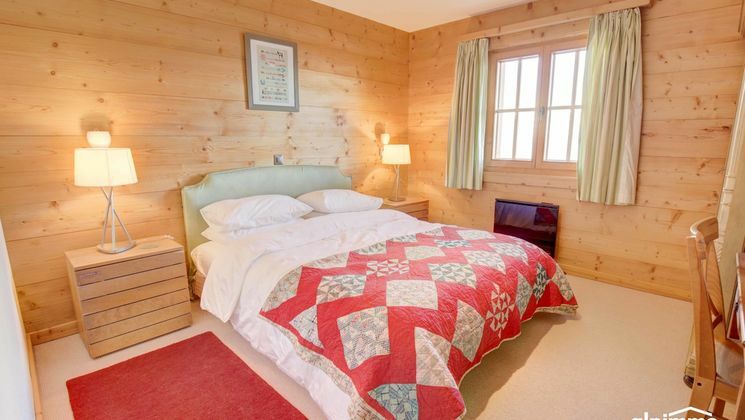 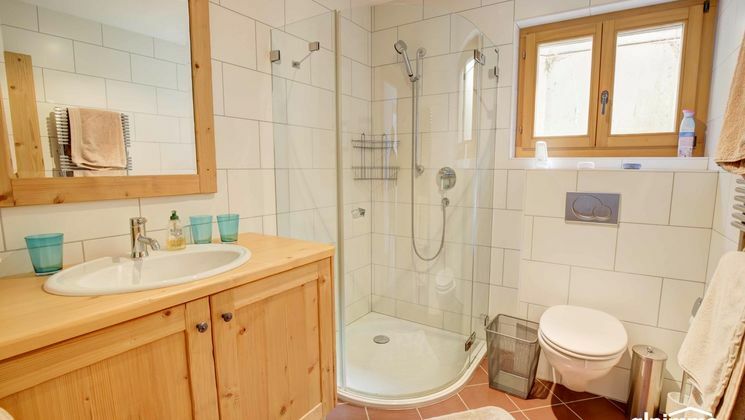 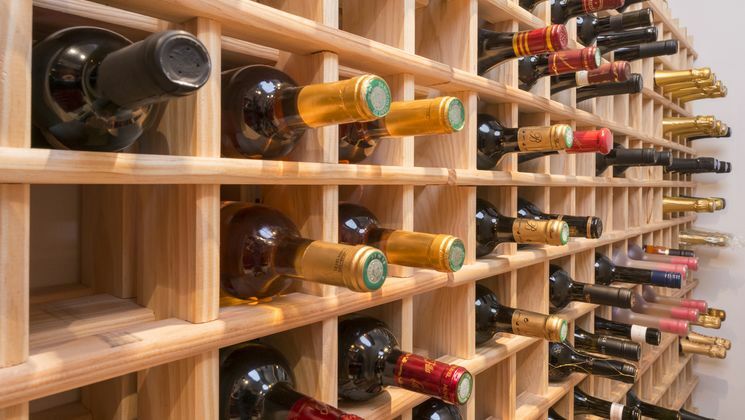 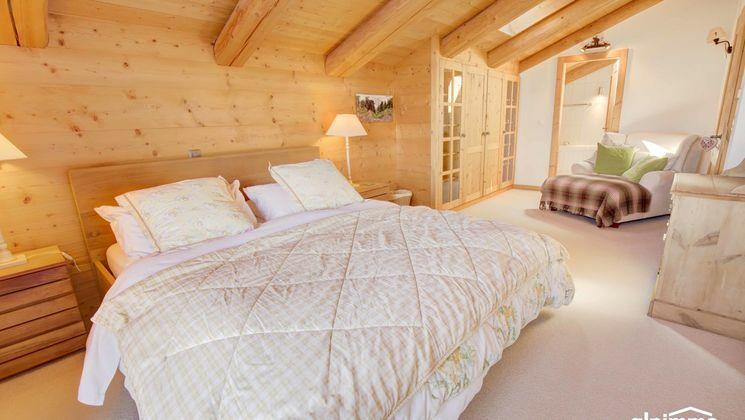 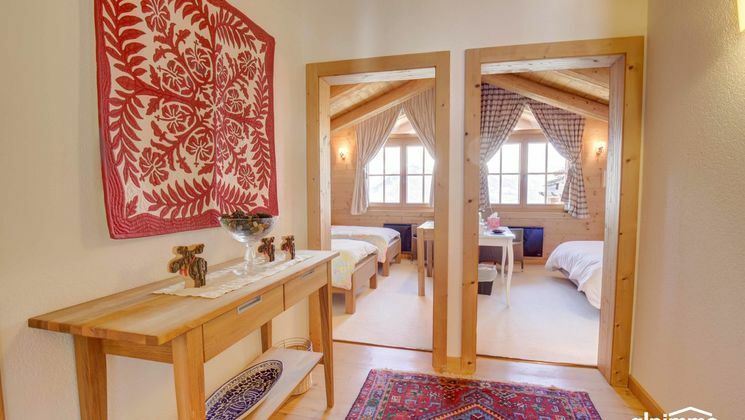 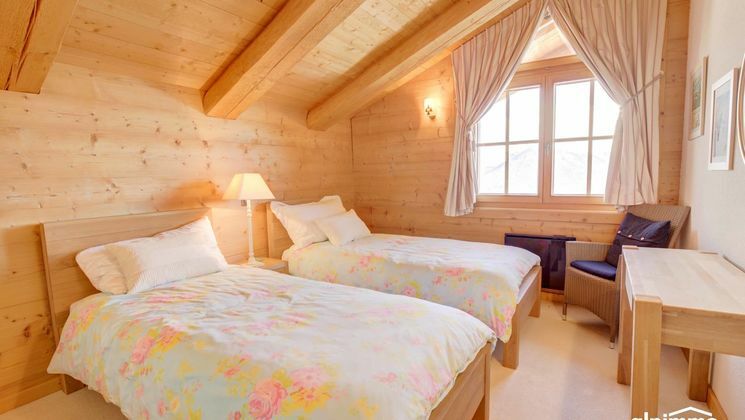 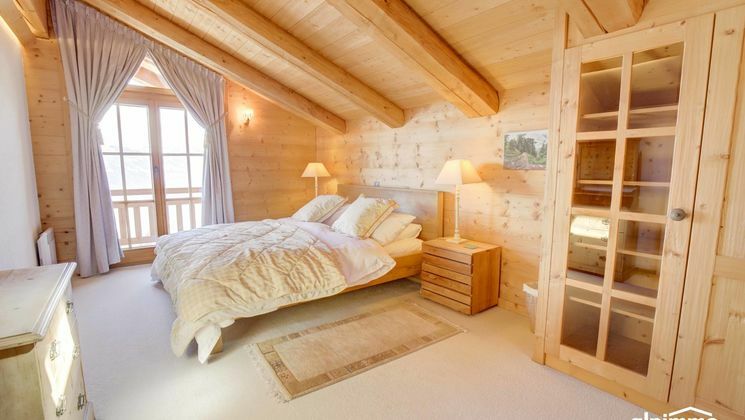 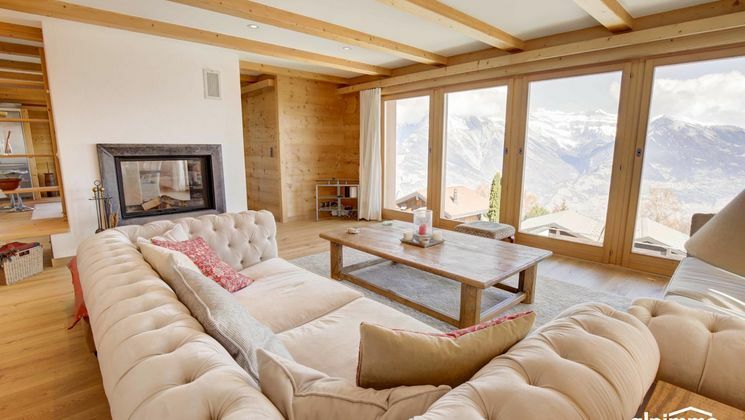 Luxurious chalet, all comforts, quiet area and exceptional view! 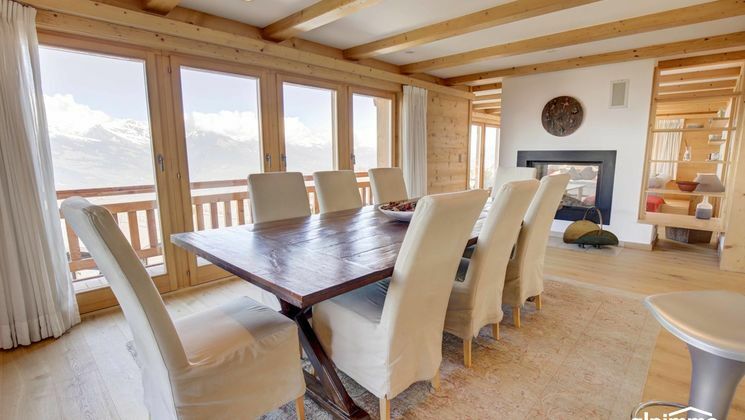 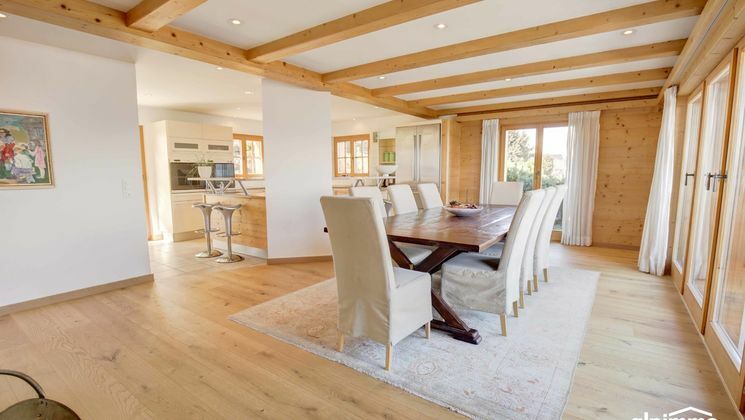 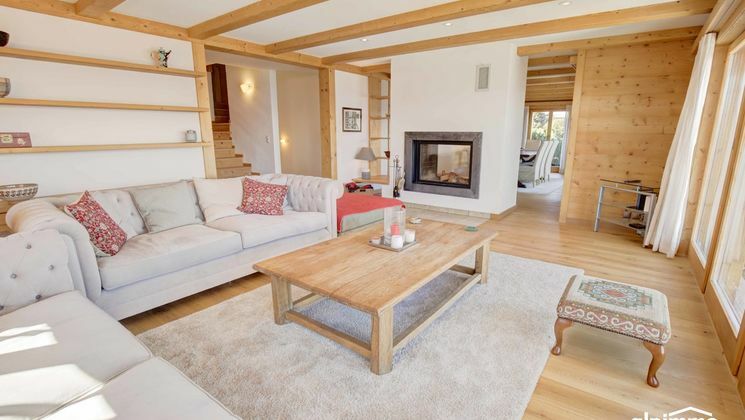 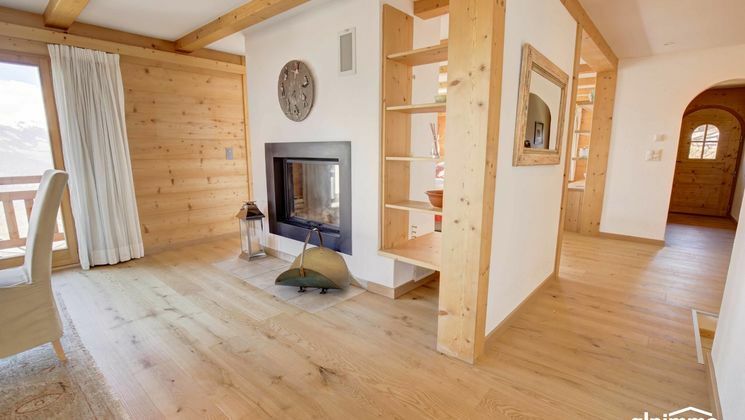 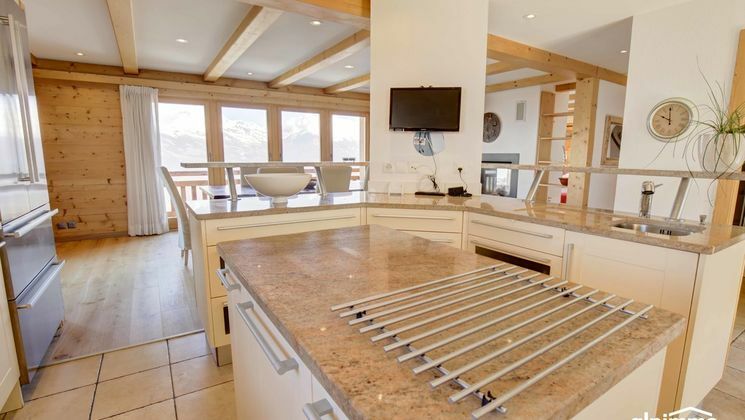 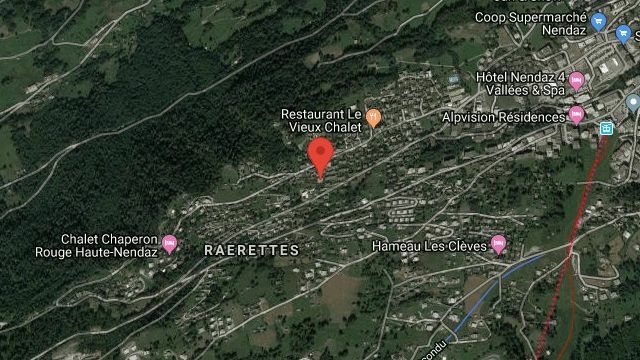 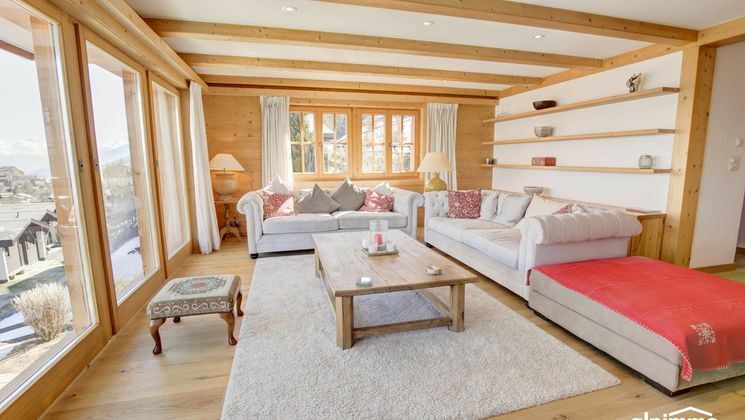 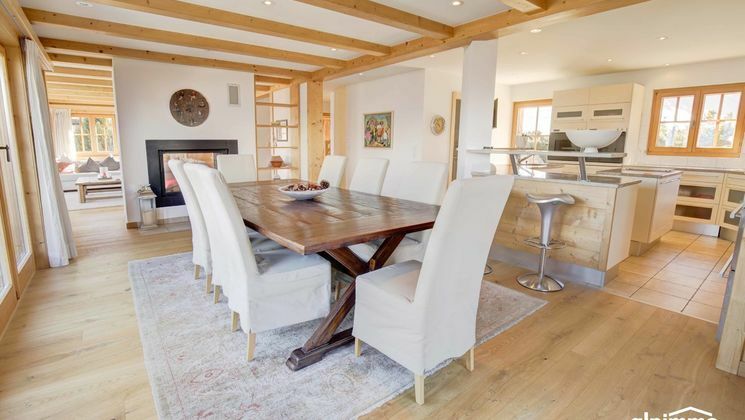 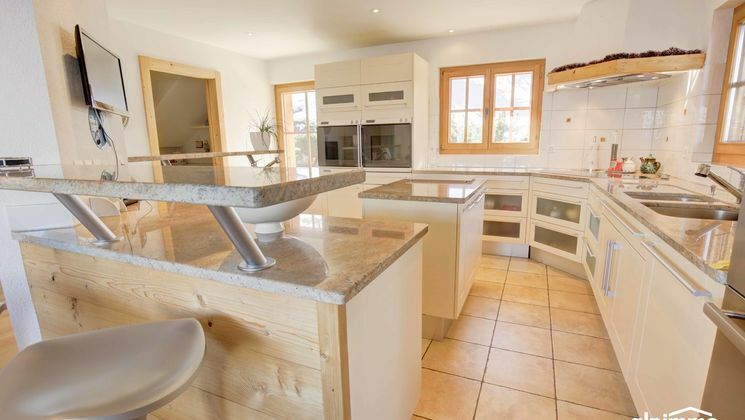 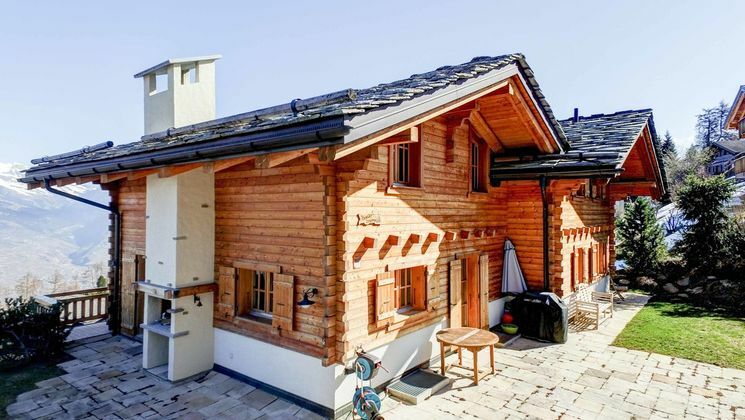 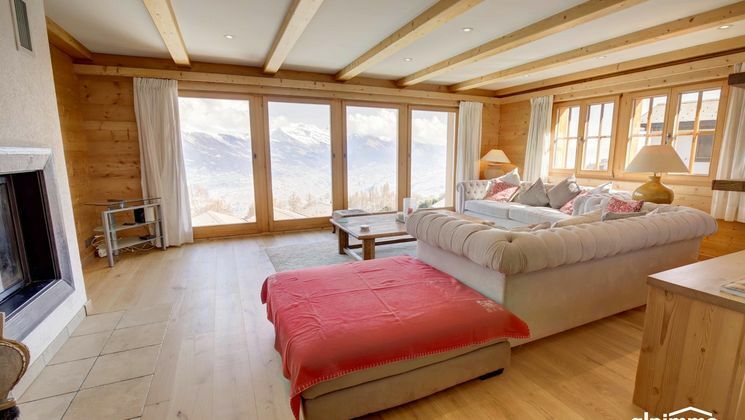 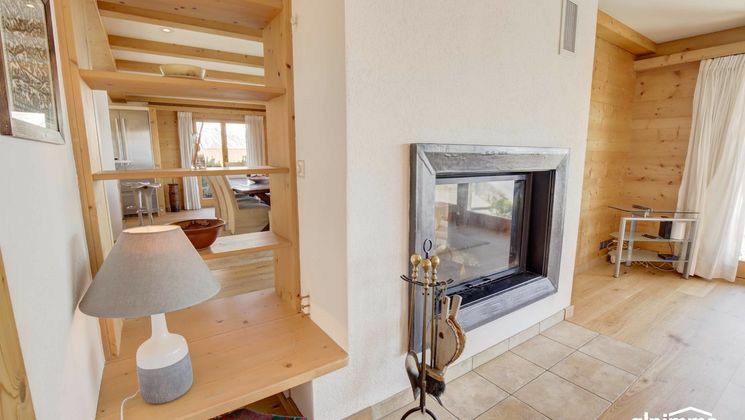 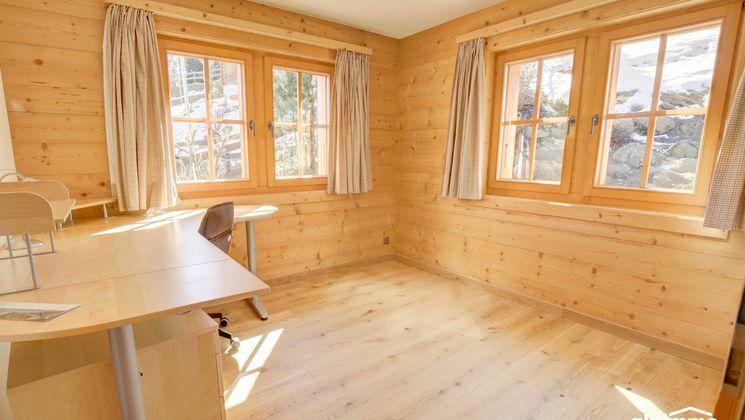 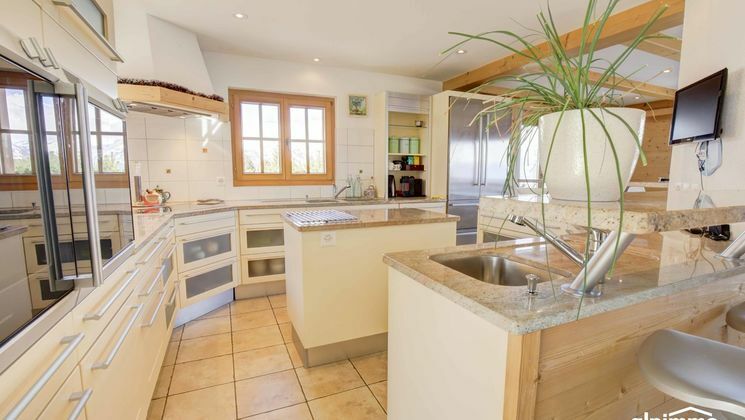 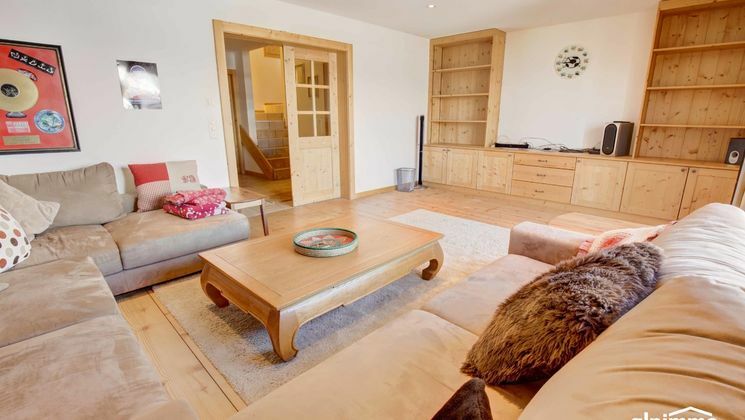 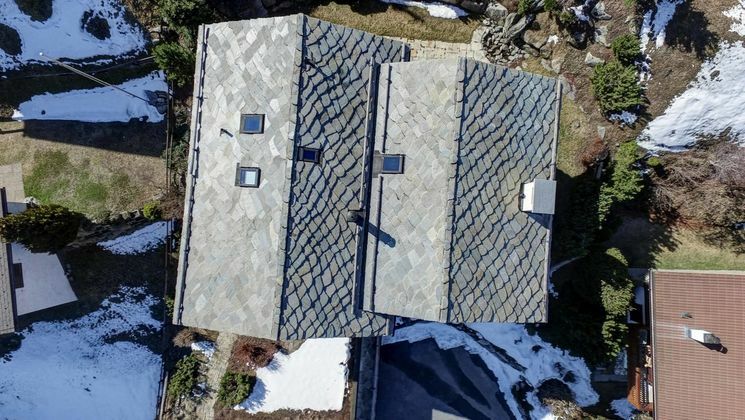 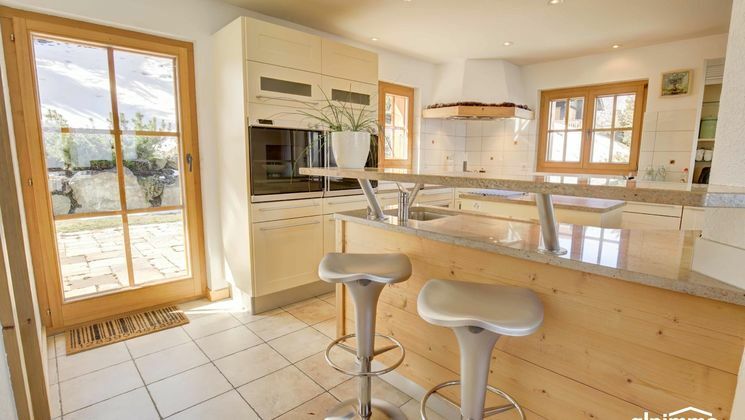 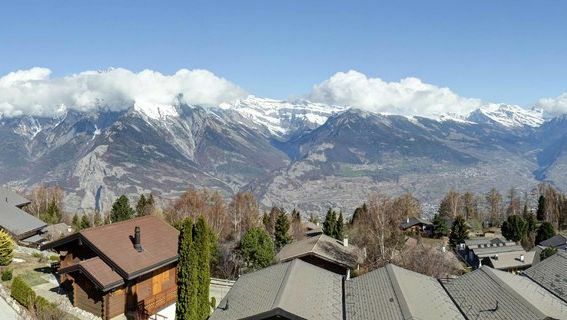 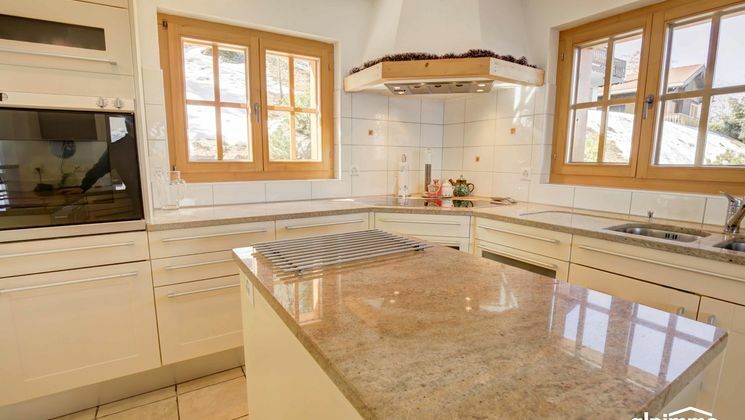 Exceptional chalet in Nendaz, spacious living rooms with a magnificent view, 7 bedrooms divided into "private area", cinema room, 4 complete bathrooms, easy access environment, sunny. 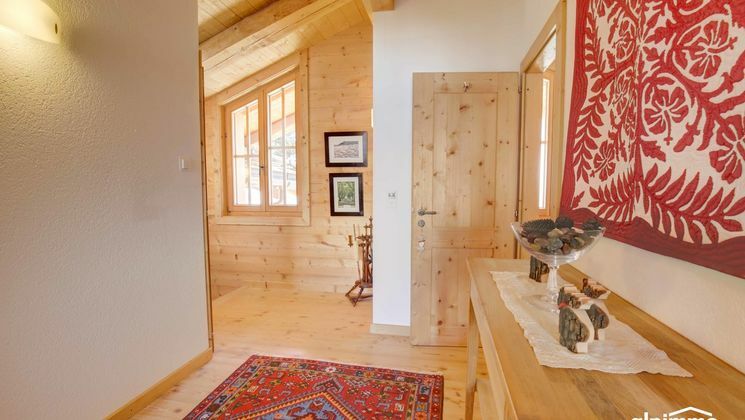 Chalet built in 2005. 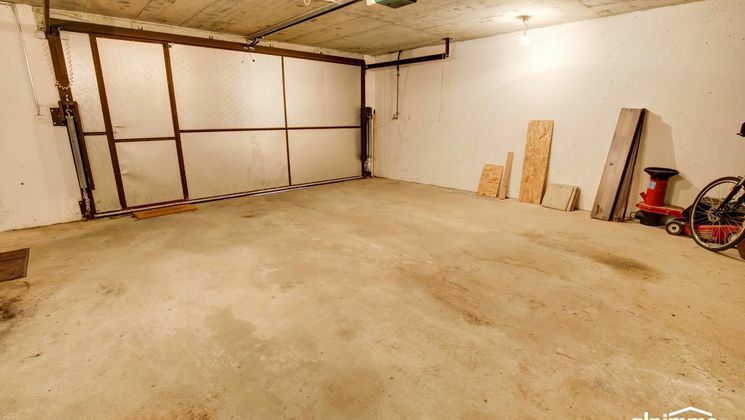 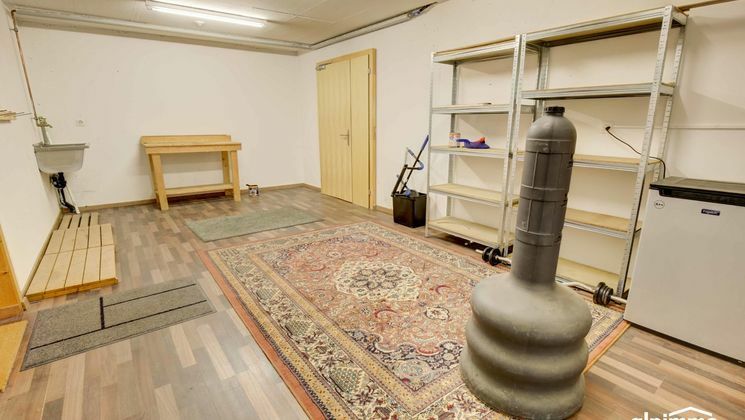 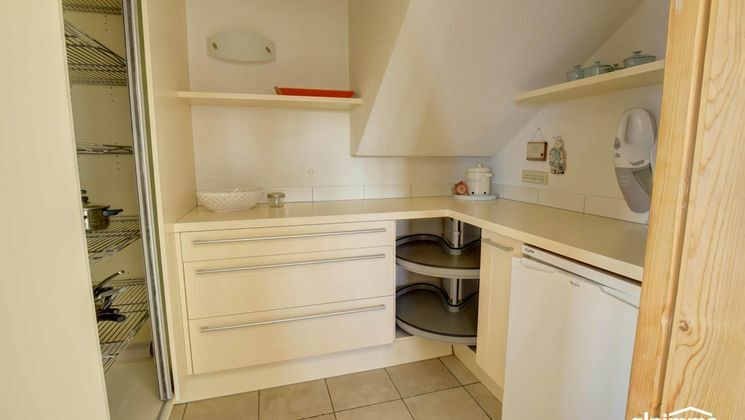 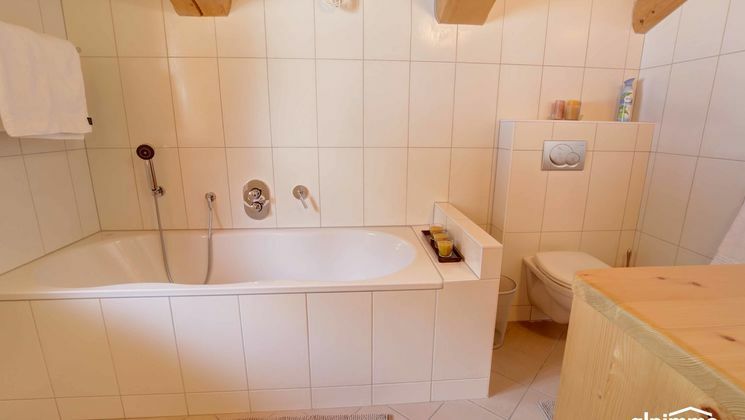 This is a healthy and quality construction. 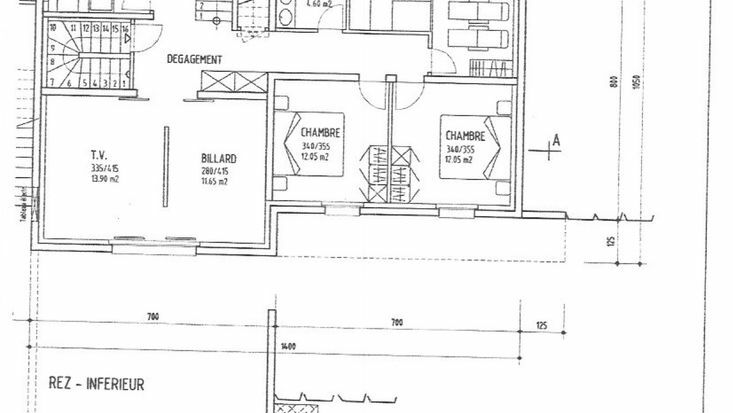 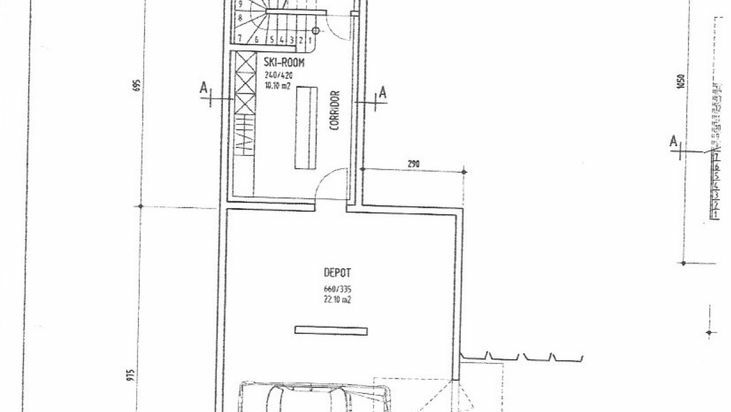 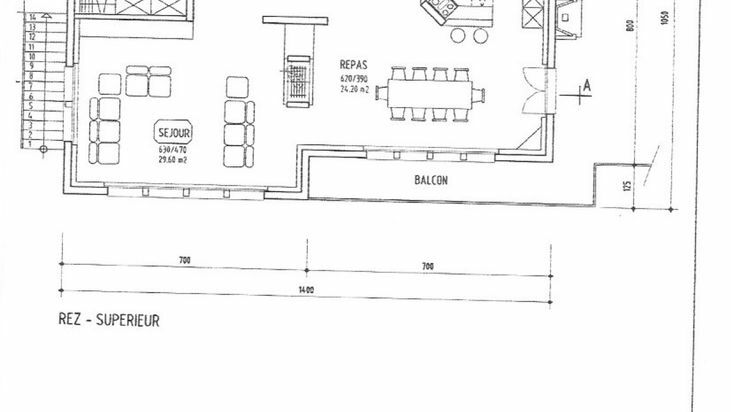 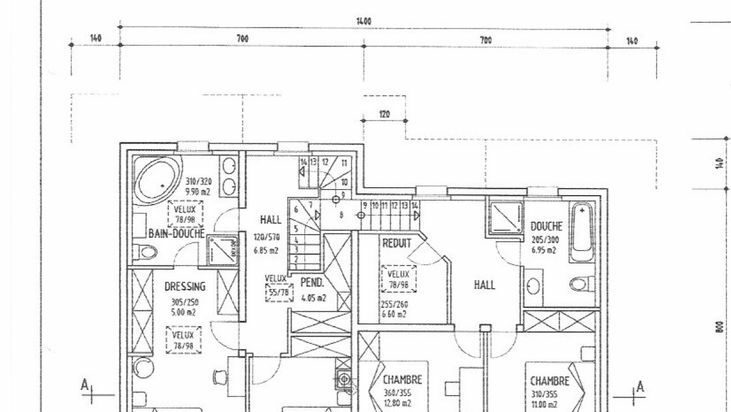 The interior layout offers large volumes for living rooms and privacy for night rooms. 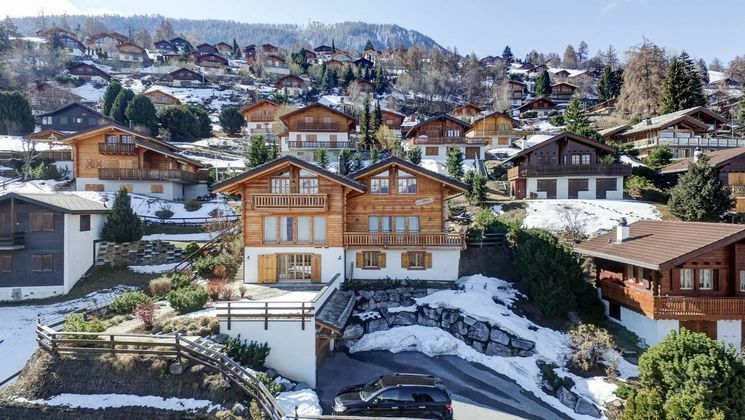 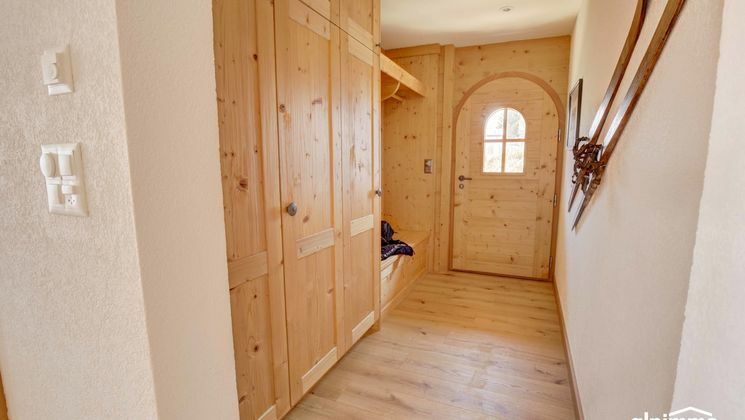 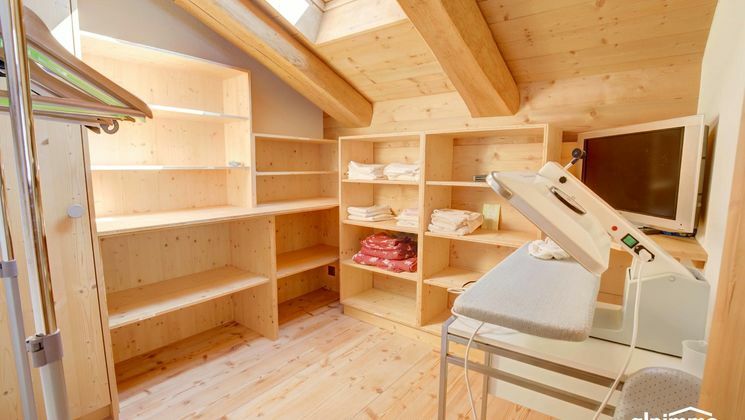 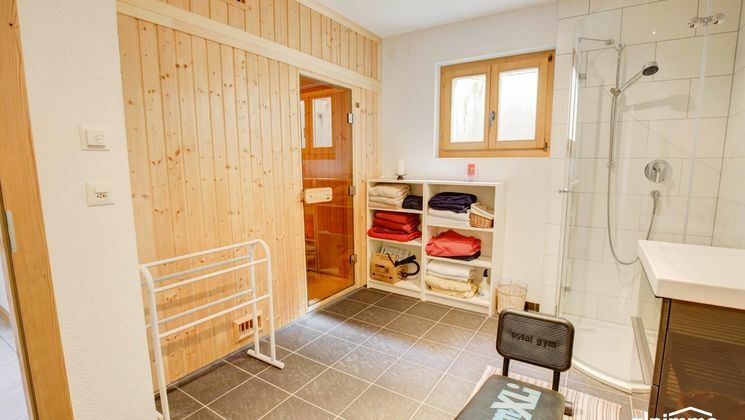 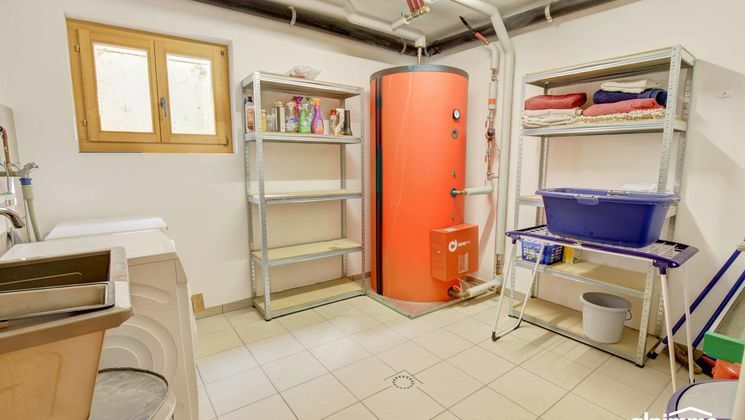 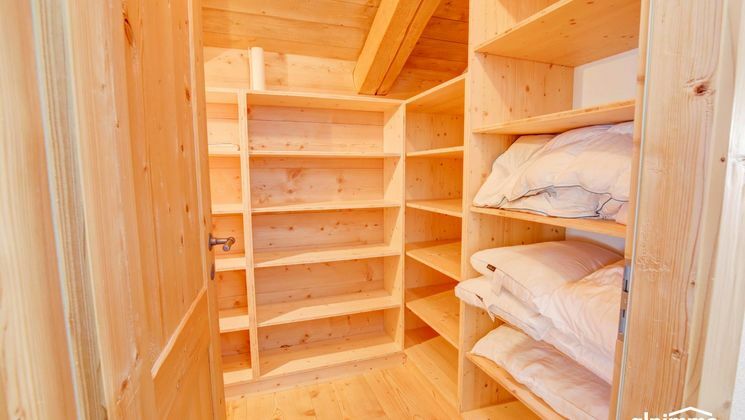 The Tsamandon district in Nendaz offers easy access in a privileged environment. 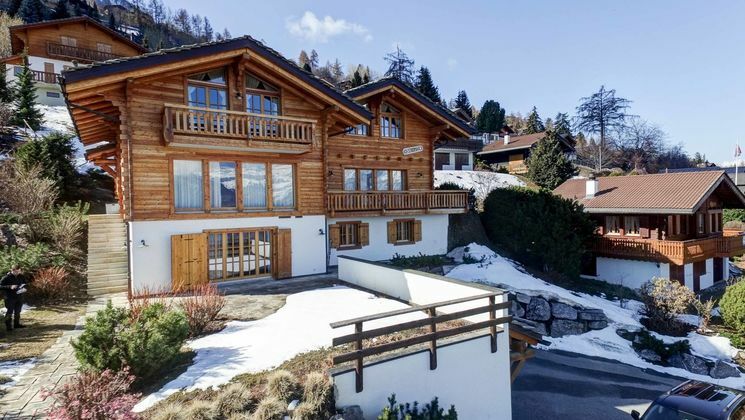 The Skibus passes near the chalet. 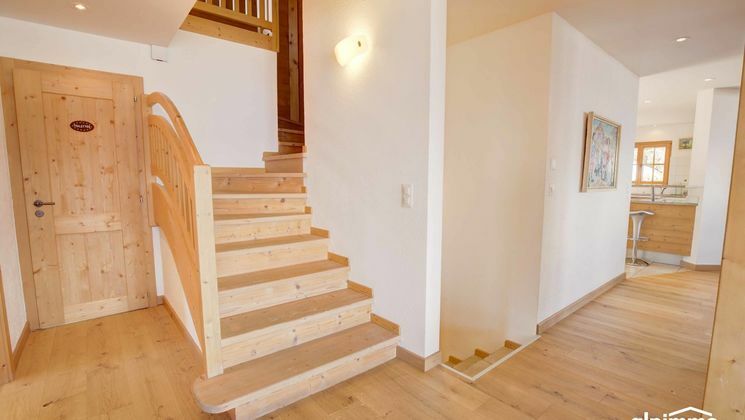 However, it is possible to reach the centre of the resort by foot in a few minutes.